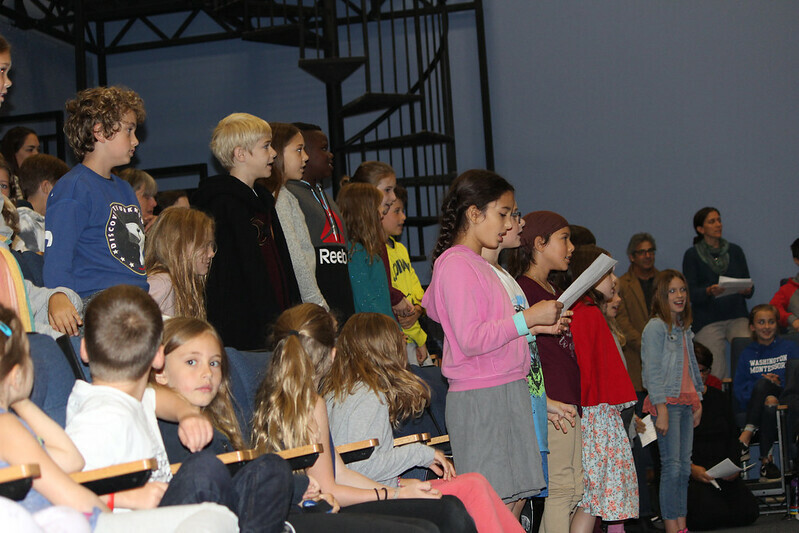 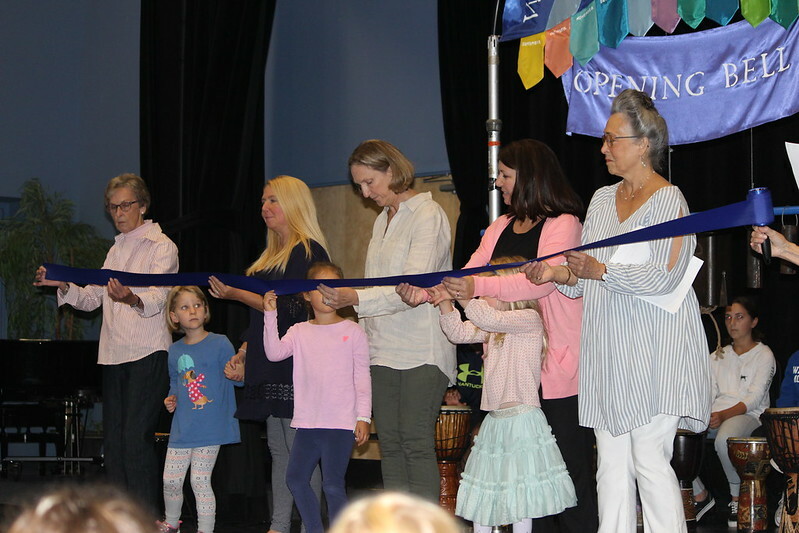 On Monday, September 10, 2018, the Washington Montessor i School community gathered in the theater to officially usher in a new school year and to celebrate the installation of Carney M. Heavey O’Brien as its second Head of School. 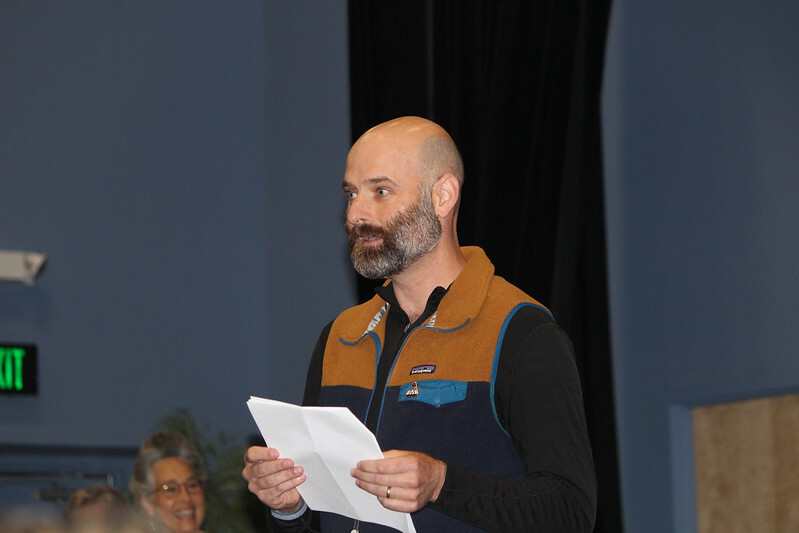 Carney replaces Pat Werner who retired this July after having served as Head since 1975. 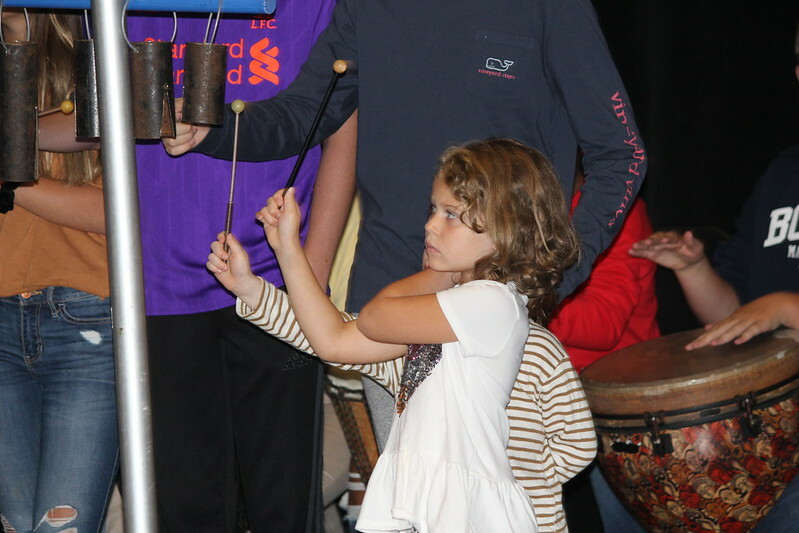 Carney joins WMS from Chatham Hall in Virginia where she was the Assistant Head of School for Enrollment Management. 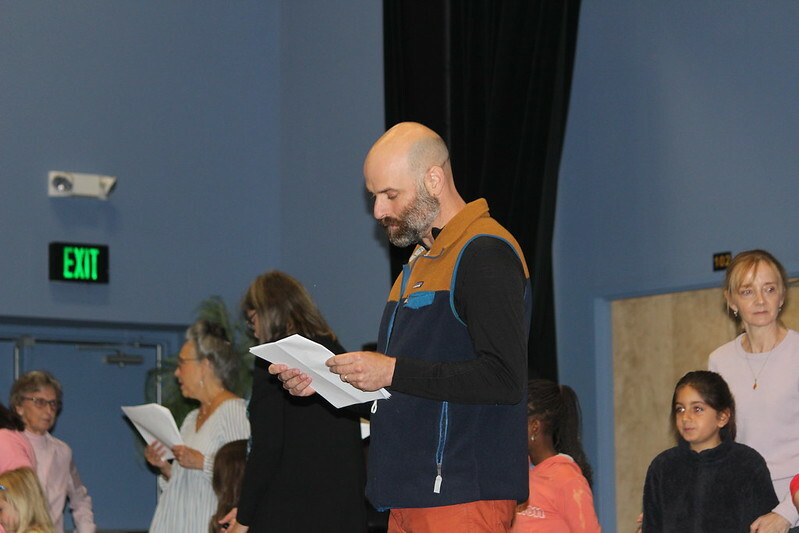 From 2010-2014, Carney served Indian Mountain School as its Director of Secondary School Advising, Ninth Grade Dean and taught English. 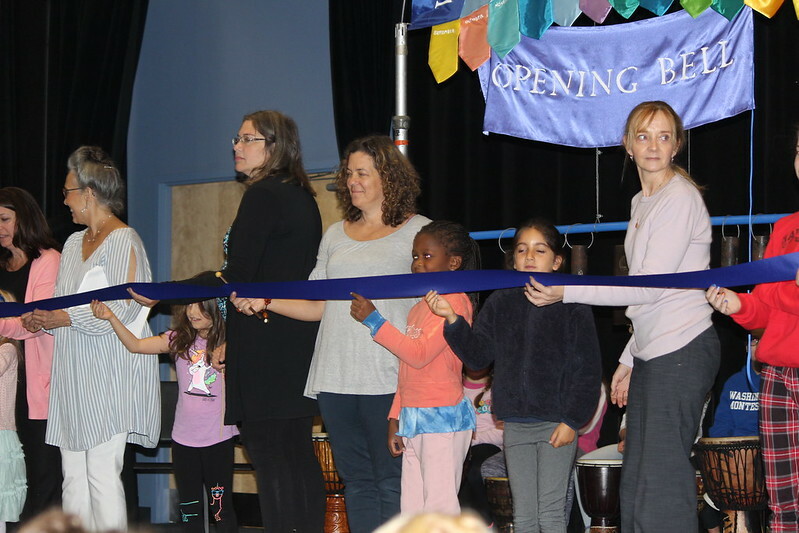 Carney began her independent school career at Mizzentop Day School (Pawling, NY) where she taught a variety of subjects including Early Childhood Art, Dramatic Lit and Theater Arts, Public Speaking/Debate and Writing. 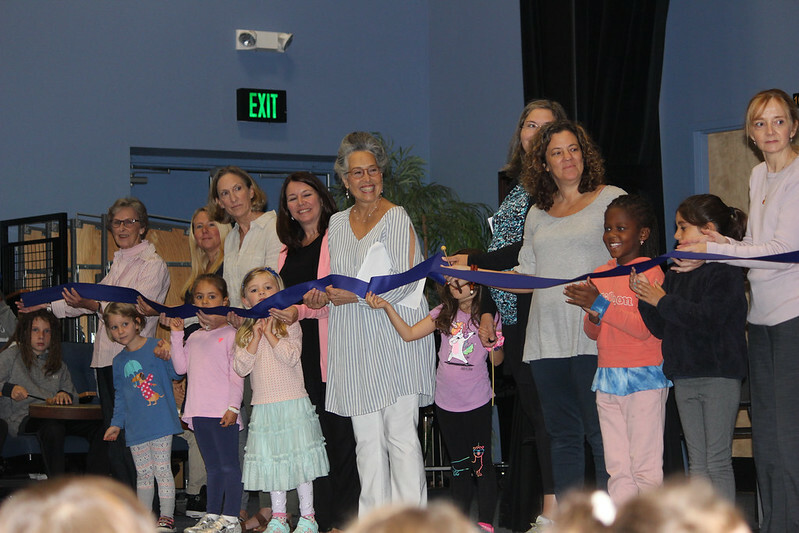 Carney also held a number of administrative roles through her time at Mizzentop, including Director of Admission and Assistant Head of School. 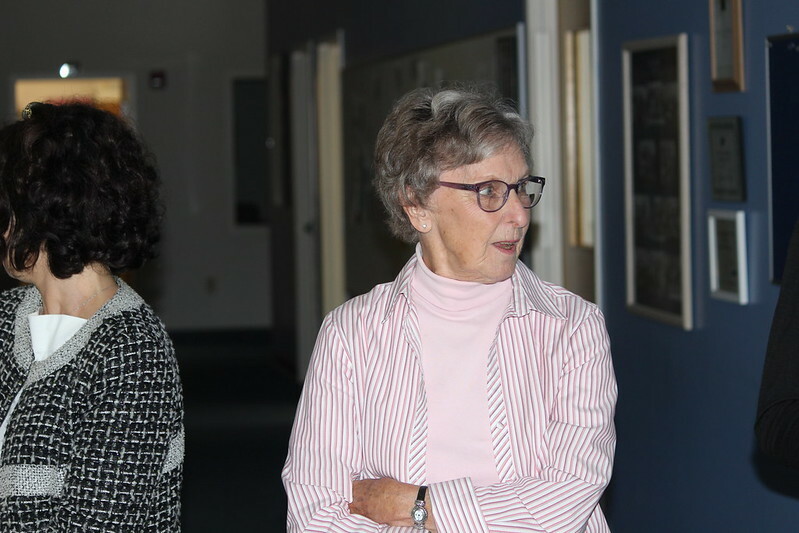 Carney earned a BA in English from Vassar College and did her graduate work in Educational Psychology at Marist College. 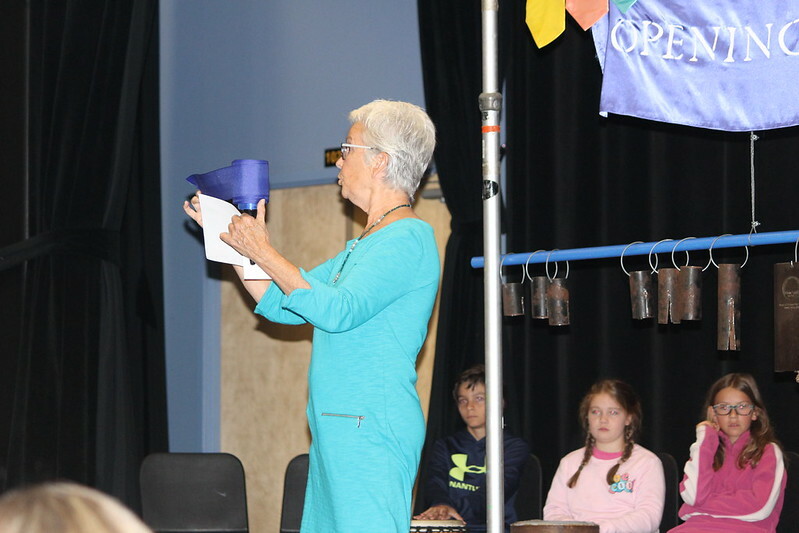 She has been an active volunteer for Vassar, served as the Director of Volunteer services for The Children’s Museum in Poughkeepsie, NY, and co-produced several professional productions at Bardavon Theater. 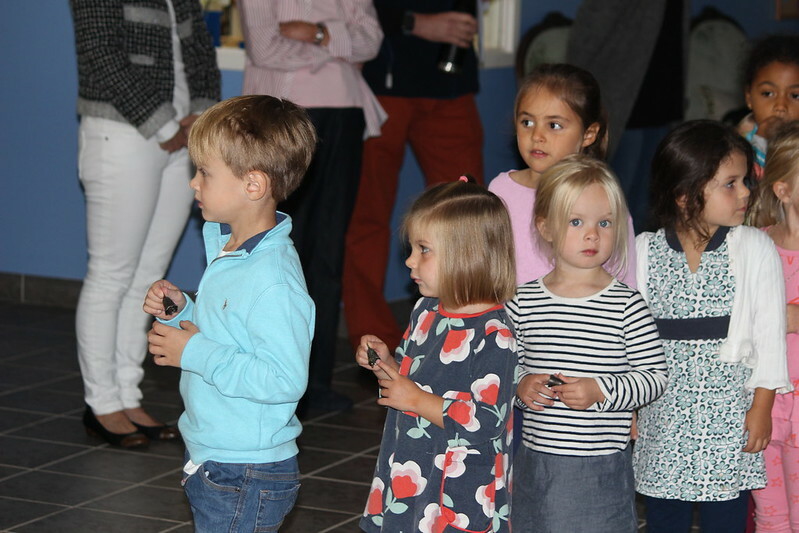 Carney is the mother of four grown children. 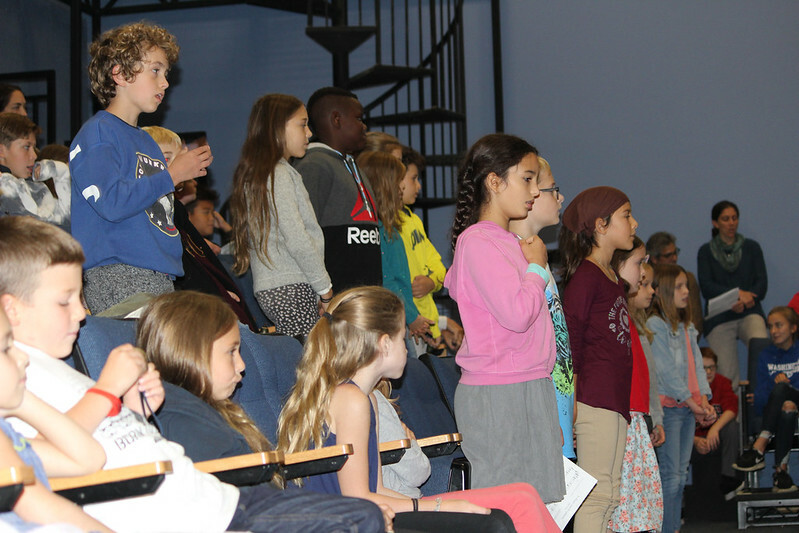 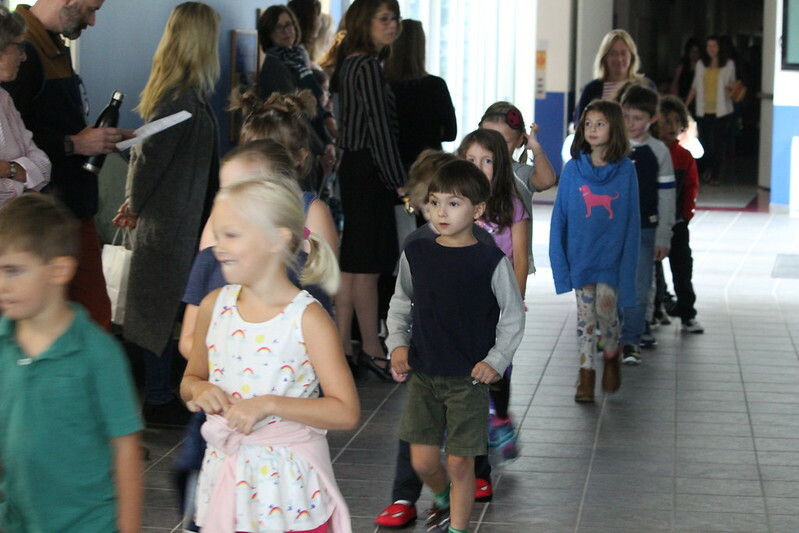 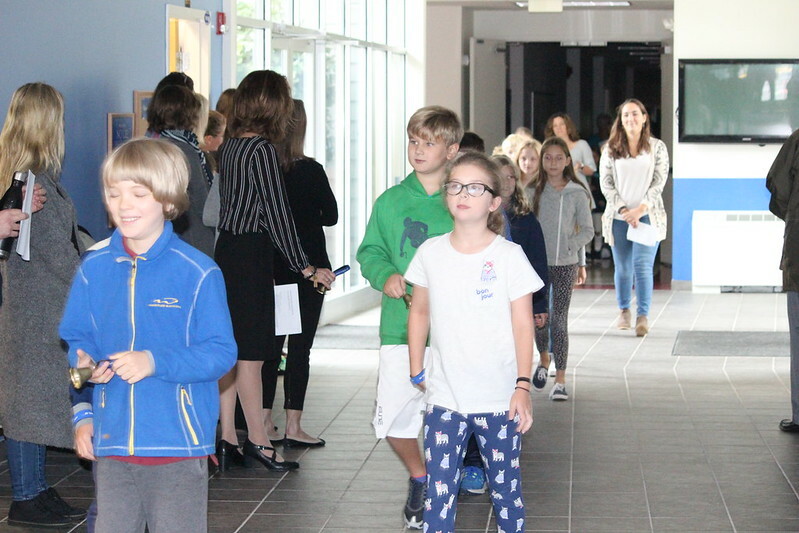 The ceremony began with a “Timeline of WMS” lesson led by Lower Elementary Head Teacher Debby DeGuire. 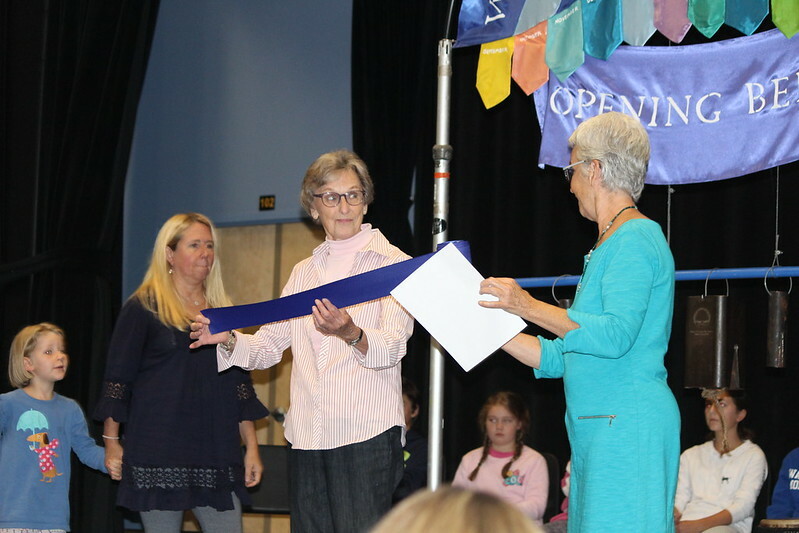 “This blue ribbon represents the history of WMS, from its very beginning,” Debby said as she handed the end of the ribbon to Ineke Ghering, who taught the school’s first class in 1965. 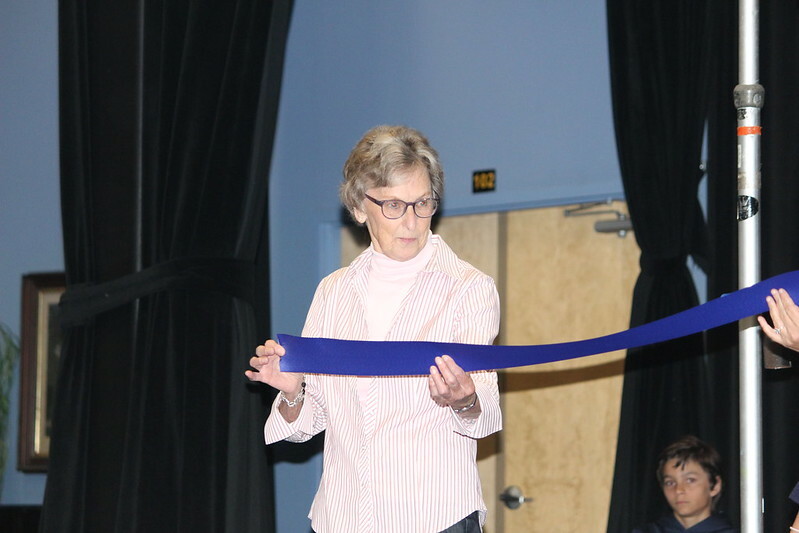 “WMS was a very small school founded by Elvira Charles, in the basement of a church,” the lesson continued as teachers and students joined to help unfurl the ribbon. 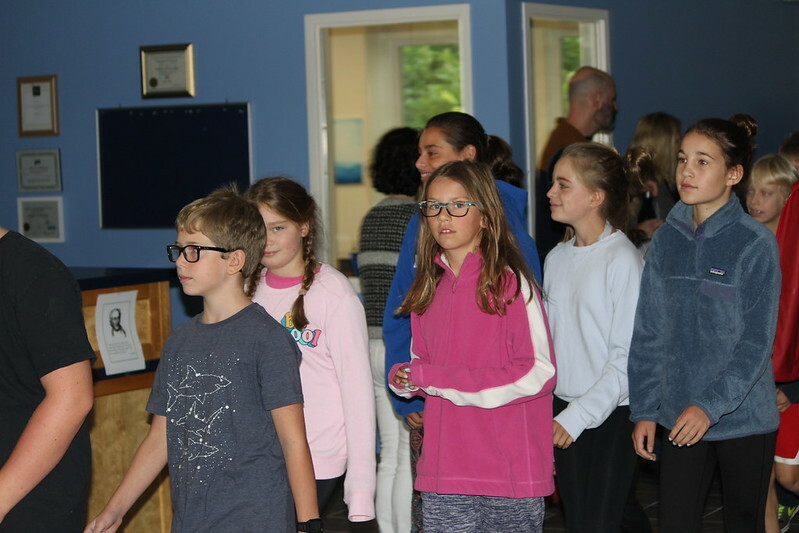 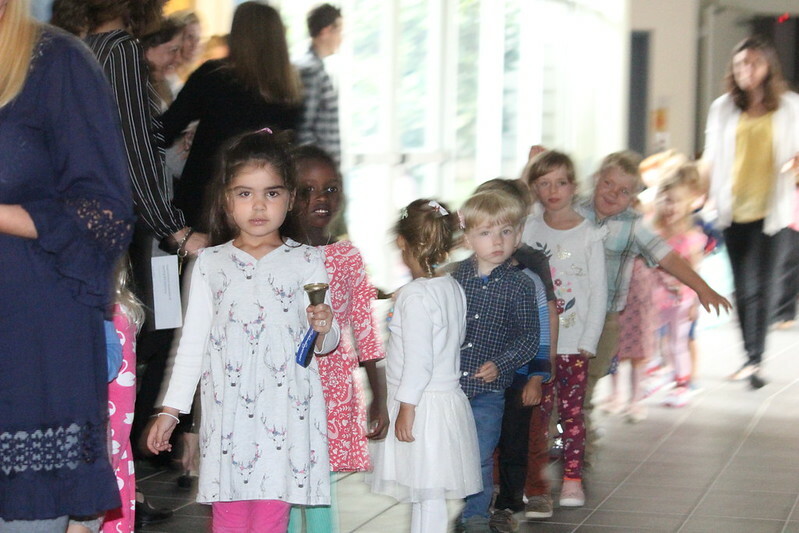 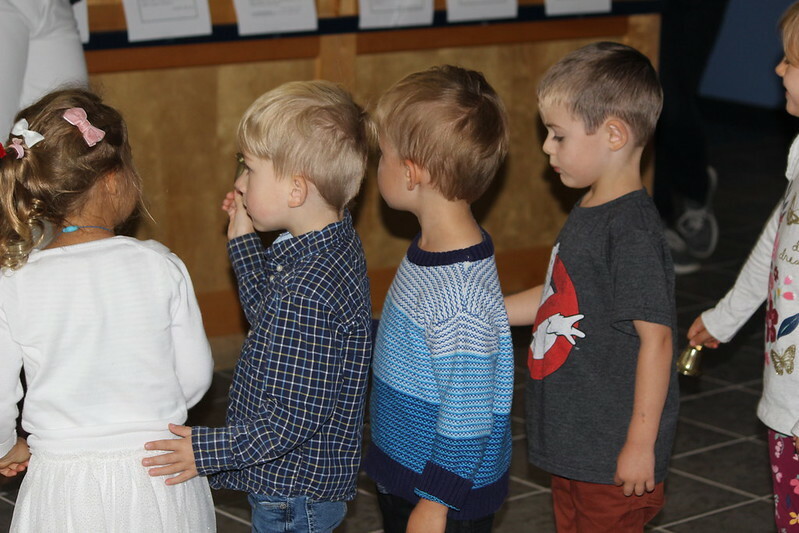 The Timeline of WMS takes inspiration from “The Long Black Strip,” which is often cited as the most powerful lesson in a Montessori classroom. 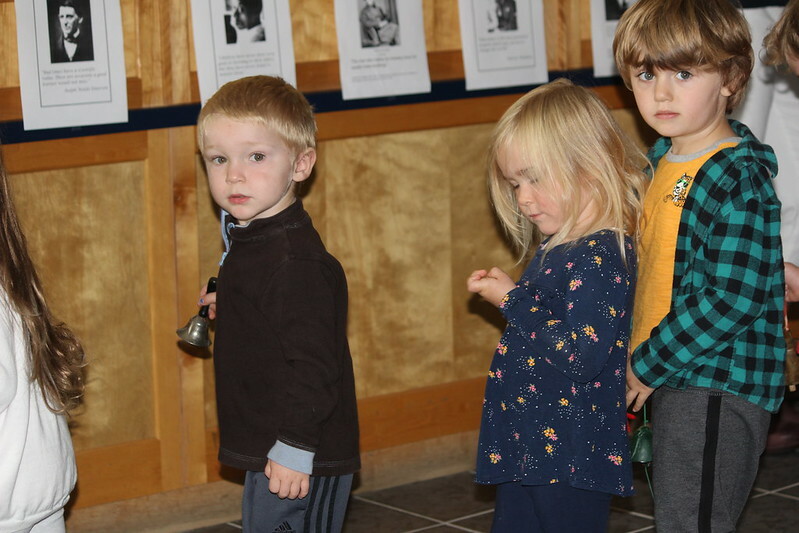 Meant to inspire wonder and awe for the age of the universe compared to the very little time humans have existed, this impressionistic lesson communicates the passage of time in a concrete way and allows children to begin to understand their place in the vastness of the universe. 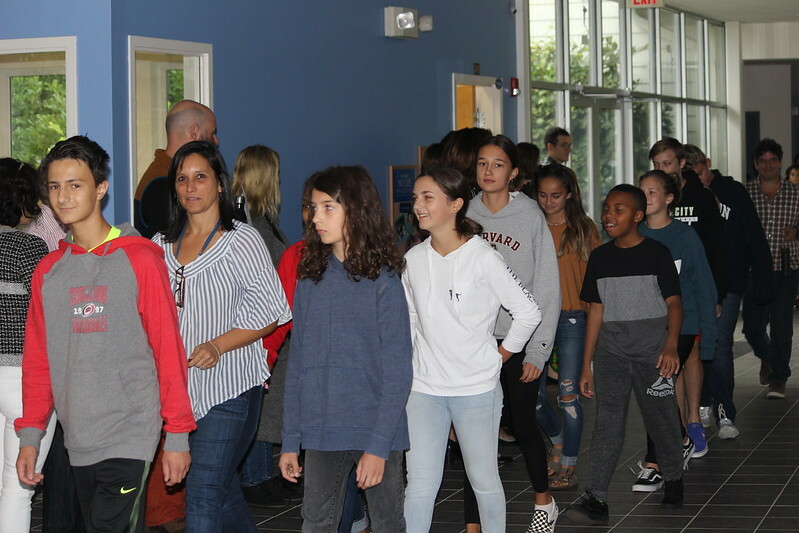 Likewise, the Timeline of WMS is meant to inspire wonder and awe for our school’s humble beginnings and to remind our students of their place in a larger WMS community that began many years ago and will continue for many years to come. 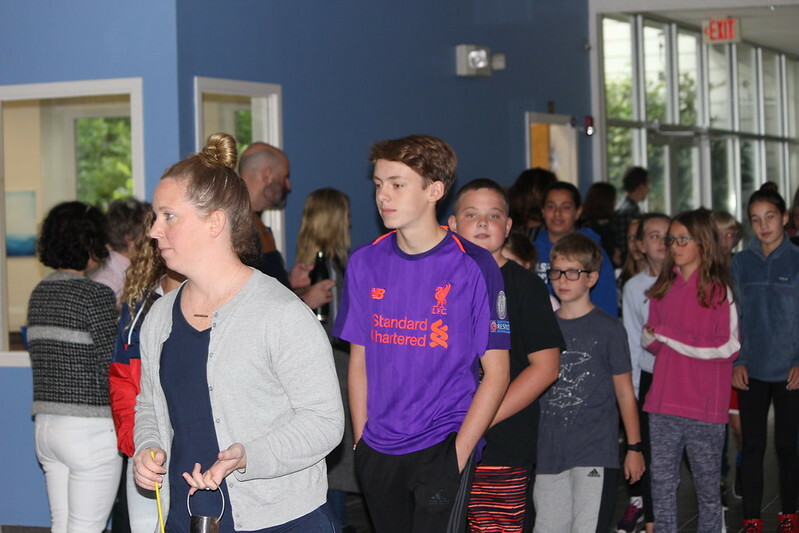 “Today, we welcome to our community new students, new teachers,” Debby said. 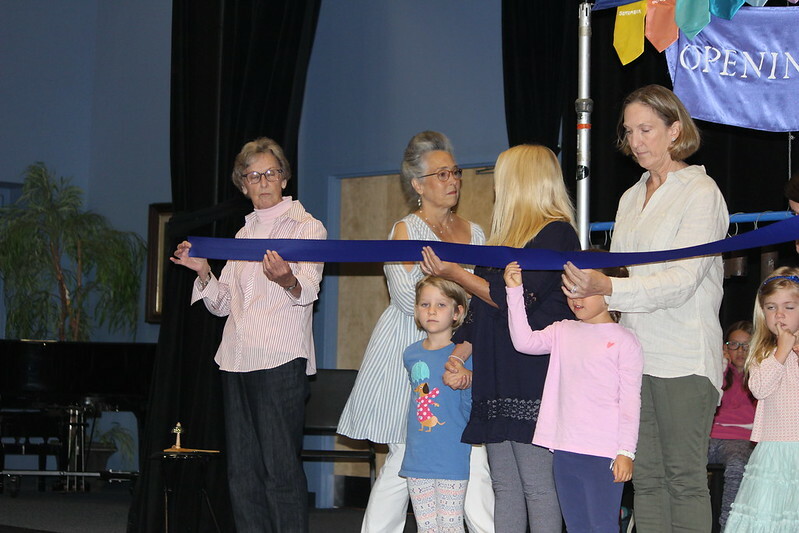 “And we also welcome our new Head of School, Carney O’Brien, who will continue writing the history of WMS as we move forward.” Debby then symbolically handed the ribbon to Carney and asked for a moment of reflection. 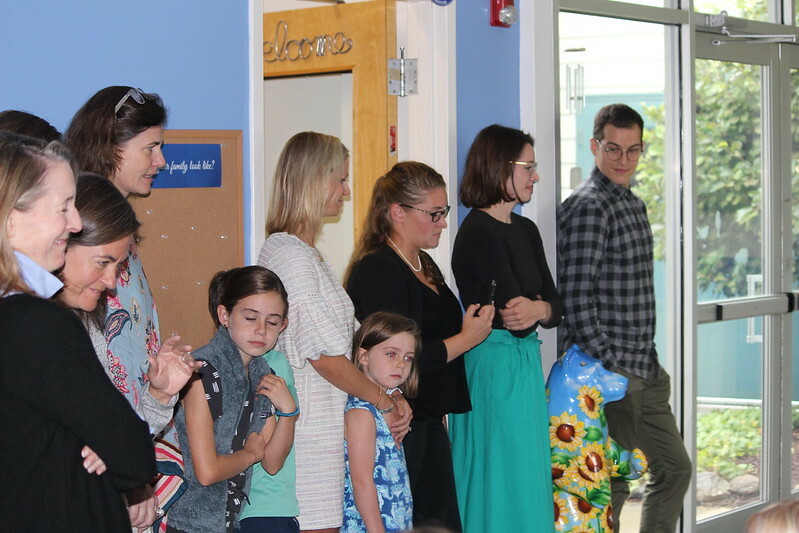 Carney’s four children, Reilly, Quinn, Seamus and Connolly, gathered for the ceremony as well as one of Carney’s nine siblings. 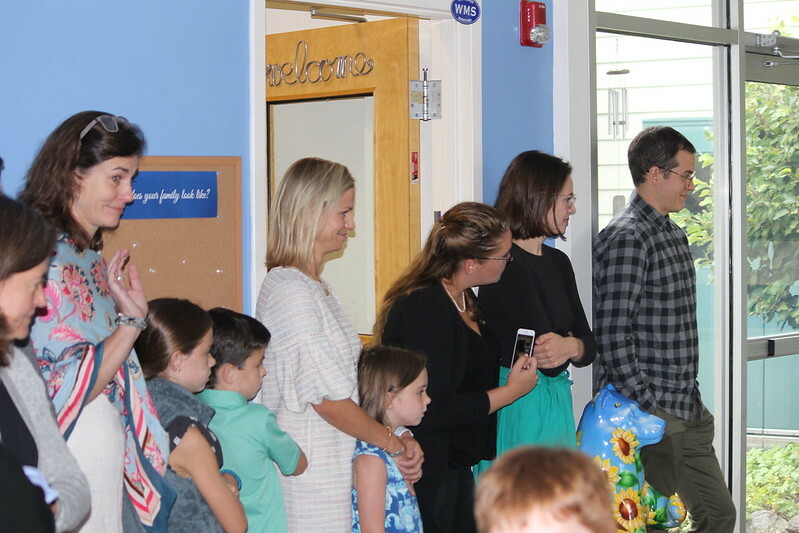 Her sister Caitlin and her three children were also able to join us for the ceremony. 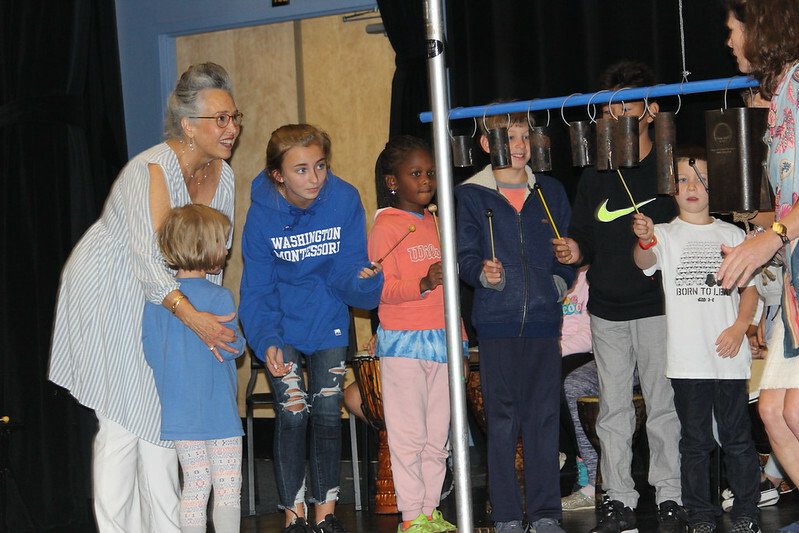 Lower Elementary students, Jackson Morse, Sarah Menozzi-Weisgal, Finley Clark and Saylor Fisher, presented her family members with Washington Montessori gear to welcome them to the community. 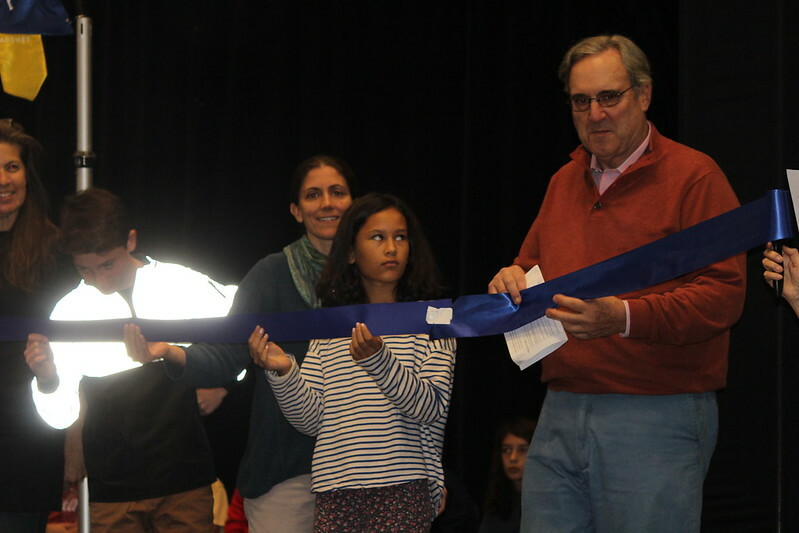 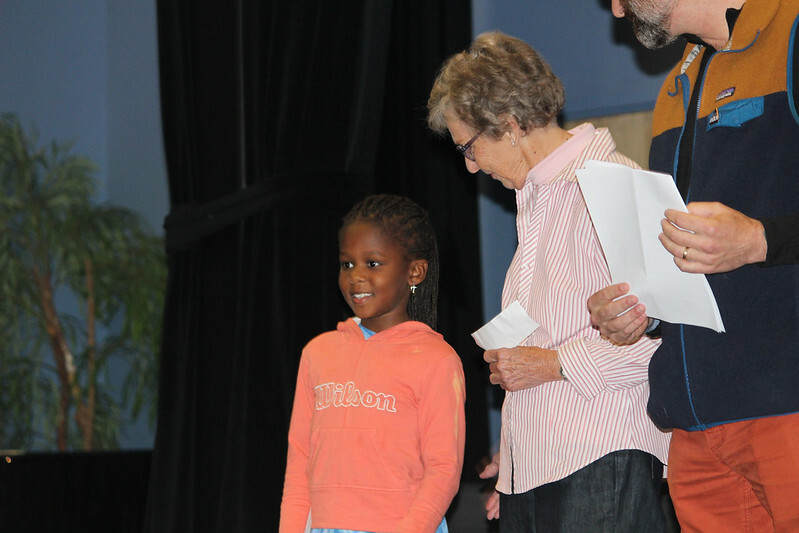 Carney was then presented with the school compass, representing “the combination of vision, grit, loyalty and love demonstrated by our first Head o f School, Pat Werner, as she worked tirelessly to lead our community in providing a Montessori education for our children.” The school compass bears the name and dates of founders Elvira and Charles Otis, Head of School emeritus Pat Werner, and Head of School Carney O’Brien. 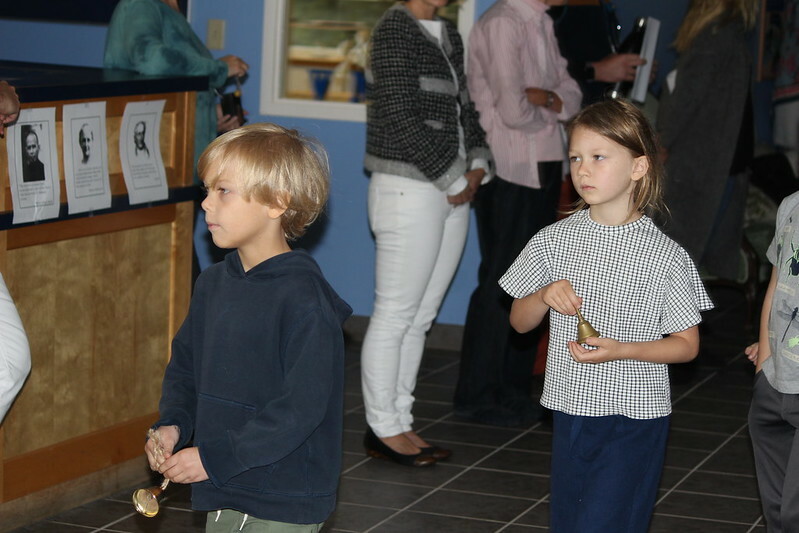 Elvira, Pat and Carney’s signatures also adorn the compass, which will be passed down to future Heads as well. 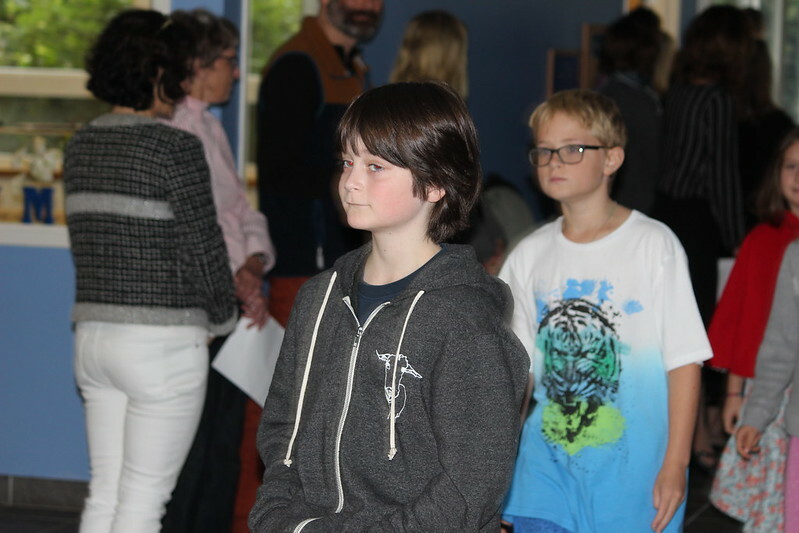 “My parents instilled in me and my brothers and sisters the essential lessons of curiosity, grit, empathy and grace. 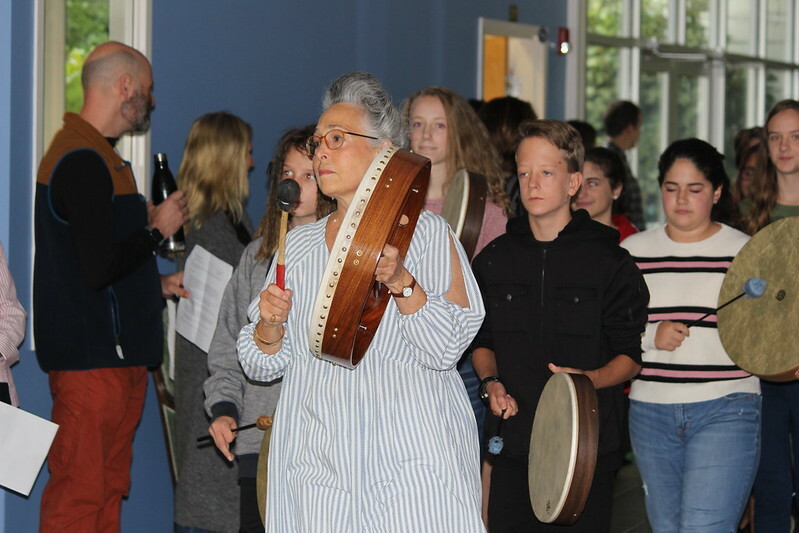 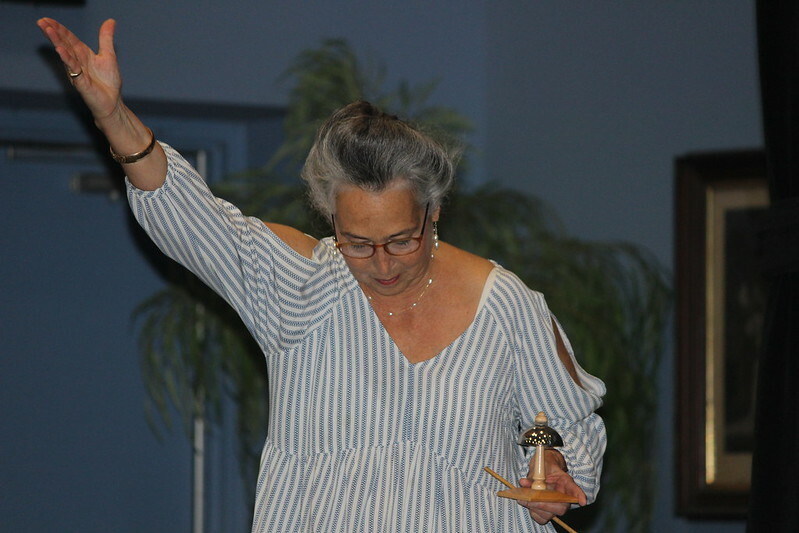 I believe the best tribes, communities, SCHOOLS… engender in us these same lessons and this is what I see in the Washington Montessori Community,” she said before listing her promises to the WMS community. 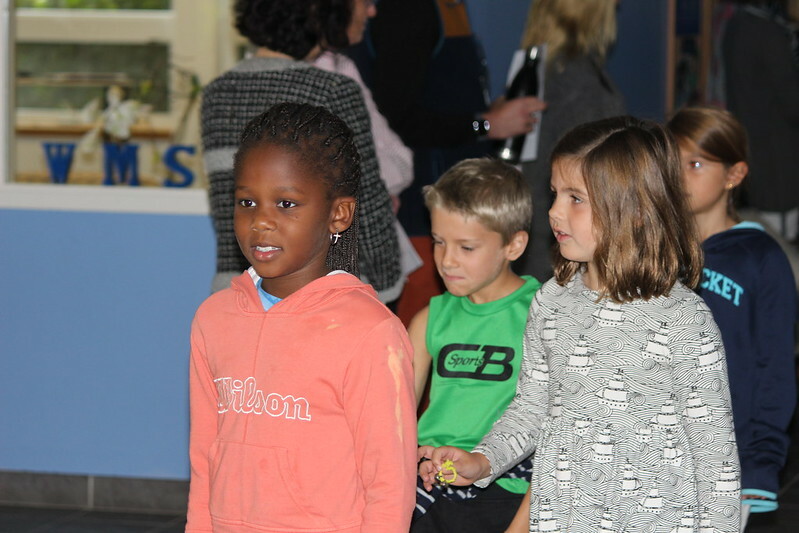 to lead our community with curiosity and an open mind excited about the endless possibilities of the future. 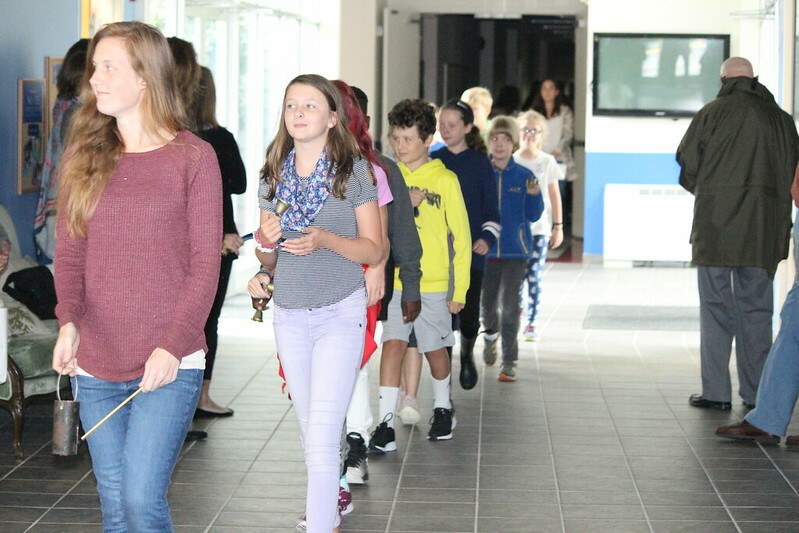 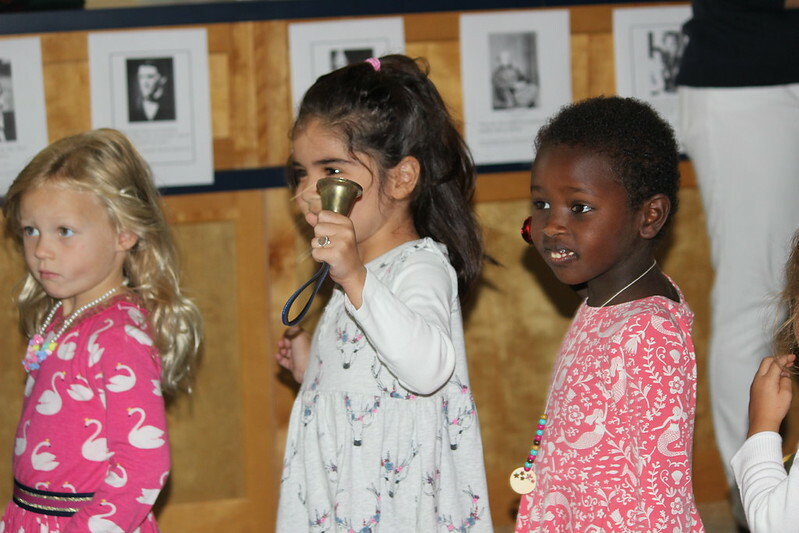 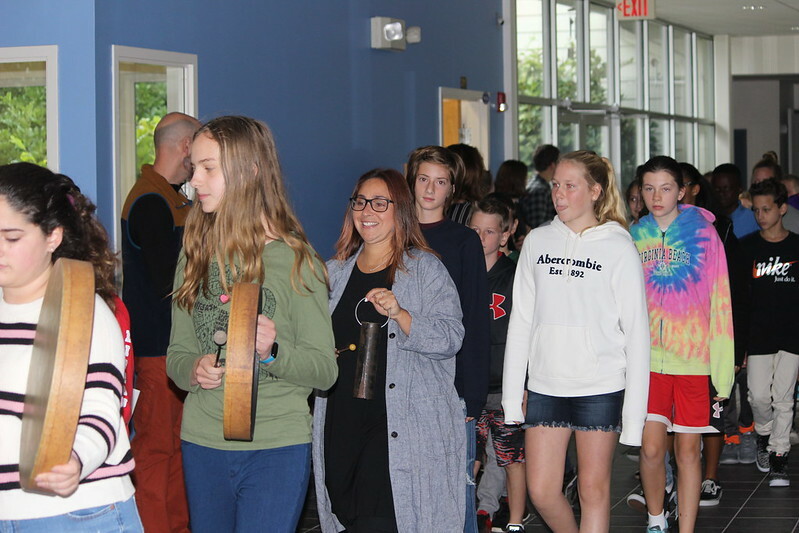 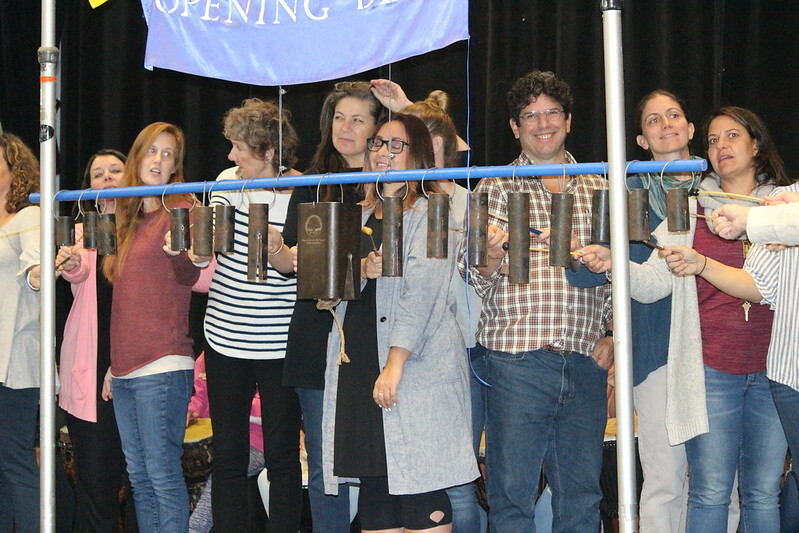 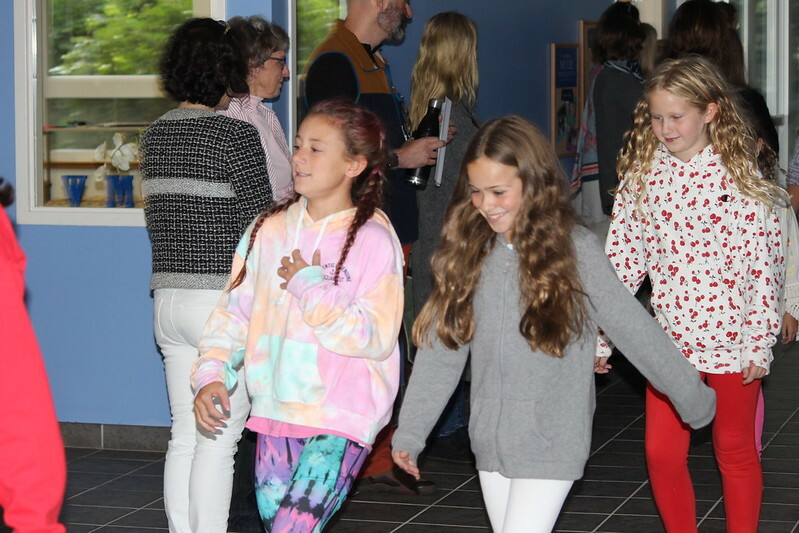 When the Installation was complete, focus was turned to the official Opening Bell ceremony, where Carney, now officially the Head of School, rang the school bell along with students to usher in the new school year. 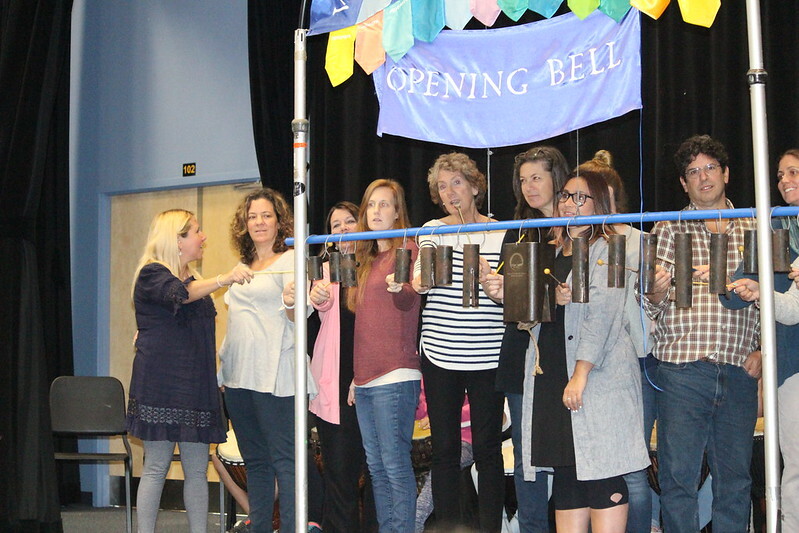 See pictures from the 2018 Opening Bell Ceremony, which included Carney’s official welcome to the community on Flickr.